As the soothing tones of Matt Monroe crept into my ears and I took another sip of my gin and tonic (complimentary of course) I thought to myself, ‘I never once imagined I’d be watching Born Free on a flight to Dhaka, Bangladesh!’ But here I was and so I embraced it and when confronted with the drinks trolley once again I ordered a further tonic water to weaken my overpowering gin. It was a random scenario yet for this reason it seemed to fit well into the randomness that has been my life for the past couple of years. Hello Sir, which country is yours, where do you go, where do you live, why are you here, do you need taxi, change, etc, etc. I’m once again a stranger in a foreign land and as I sat and waited patiently at Dhaka airport these were just some of the questions posed to me by a whole host of characters who from what I could tell seemed to be working at the airport yet their roles were somewhat dubious. I must have cut a fairly lost and bewildered figure as I sat on the metal chairs in the rather soulless airport waiting for my connecting flight. As you may or may not know I recently accepted a teaching position at the Asian University for Women in Chittagong, Bangladesh. After much bureaucracy and red tape which saw my start date change frustratingly from February 1st to March 26th, I finally received the vital employment visa in my passport and within a few days of this here I was sat in the foyer of Dhaka airport en route to my new home, Chittagong. I’m quite proud of my passport now as it boasts a fine array of stamps from Zimbabwe to Rwanda, Botswana to Tanzania and Lesotho to Bangladesh. If all goes to plan in early May I’ll be able to add Nepal to that list. As I write this I’m sat in my new abode for the foreseeable future. The table I’m sat at has a rather grand wooden frame with a glass top, quite a contrast to the rickety old school desk that served me well in Rwanda. The whirring sound above me is that of a ceiling fan which is vital as the temperature outside hits 35°c. I fill my empty glass with water from the dispenser that sits next to the fridge and browse the internet courtesy of the Wi-Fi that serves our block of flats. Forget about the scenery, the language, the temperature and the food, the differences between my new life in Bangladesh and my old life in Rwanda are to some extent stark. As far as I can tell there’ll be no bucket showers for me here and as long as I remember to flick a switch I can enjoy hot showers on a daily basis. It’s boring really, but for now it’ll do for me. In the coming months I’ll be once again detailing my experiences as a teacher in foreign fields and all the joys, surprises, problems and random scenarios this brings with it. I’m sure the region of South Asia will throw up a host of new challenges for me to ponder and face (or skirt around) but I know there will be times my mind will be transported back to that little hilly green land I called home for a year and I’ll find myself muttering ‘it wasn’t like this in Rwanda’ or ‘this is just like that time in Rwanda when…’ This is a brand new adventure though and thus I’m certain Bangladesh will make an impression just as Rwanda did. The journey from my flat to the university alone never fails to have its share of heart-stopping moments! Due to my 24 hour internet access here I’m hoping to be able to make my blog entries both more regular and succinct than they were in Rwanda, but don’t hold me to this. So for now I shall sign off, but keep an eye out for some further updates in the very near future. This entry was posted on April 9, 2011 by johnstanlake. It was filed under Uncategorized . Brilliant! I love your blogs, so looking forward to an array of enchanted writing from your good self! Glad you’re settled in and the folks tell me the girls are lovely. Great blog! Bangladesh – what a country! We visited an orphanage about 30 miles from Dhaka 2 years ago. We stayed in a hotel near the airport and had an amazing experience. 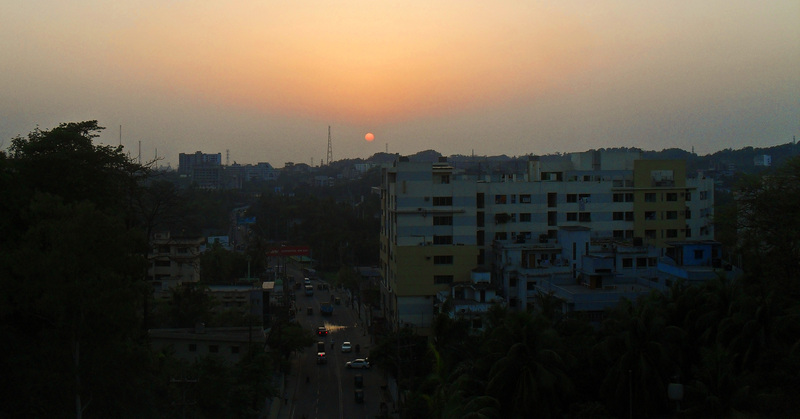 Dhaka certainly disorientates all the senses. They’re mad about sport as I’m sure you’ve found out. See if you can get them to follow Cockington at cricket! Anyway, John, have a great time there. I’d love to go back sometime. P.S. Even Argyle won today!